SolidWorks is a solid modeling software for Computer-Aided Design (CAD) and Computer-Aided Engineering (CAE) designing. It is published by Dassault Systèmes. 3D modeling is basically preferred by all students, engineers and designers because they offer various advantages/facilities over the traditional 2D design. 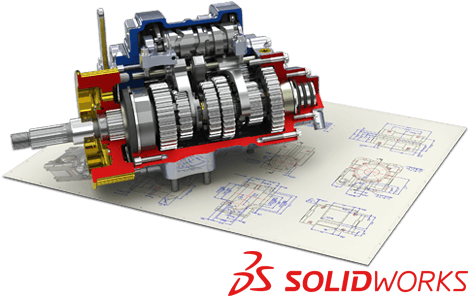 Hence, learning 3D CAD and SolidWorks became must because these are one of the most widely used 3D CAD tools in the industry. SolidWorks helps in conveying innovative ideas into designs very quickly, and effectively. Most importantly, anyone (engineer or designer) without having any prior experience in animation can produce an animated movie of any 3D product design instantly. This will help the engineer or designer to communicate their product ideas better to a non-technical person. SolidWorks contains libraries of more than one million pre-built or pre-designed components, so re-designing industry standard components – like screws, nuts, bearings, etc are not necessary. 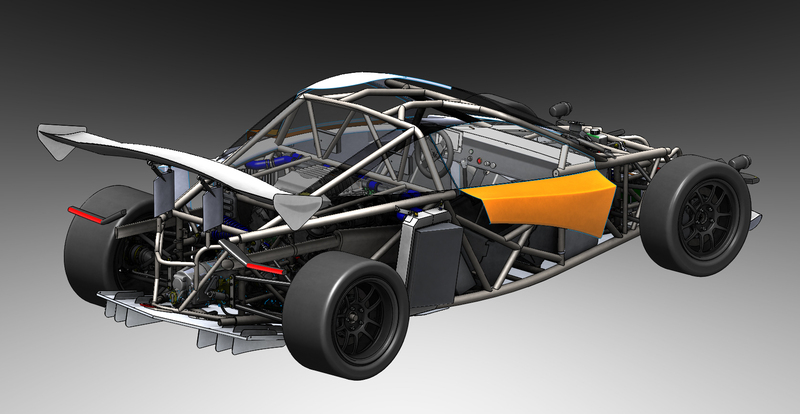 SolidWorks is focuses on growing a community of designers/engineers who can actively publishing their drawings online. Already, there are millions of 3D drawings available to use or get inspirations. CAD Animation: How to create a 3D, animated movie of any product design? Product Data Management: How to keep, reuse, repurpose all design data in a secure way? Revision Control: How to keep track of the changes made to evolving product design, and monitor changes, each revision bring done to overall design and manufacturing cost? Costing: How to check the design against manufacturing cost, and how to automatically generate manufacturing cost, as it is designed? Part and Assembly: How to design parts and assemblies of parts? Tolerance Analysis: How to analyze the tolerance levels of each individual part separately, as well as all that of parts when functioning collectively? CAD Library: How to increase productivity by making use of CAD library? Interference Check: How to check the way all parts fit among themselves, and operate as intended? Student will quickly design product concepts because they can use scanned 3D data, imported images, or simple sketches to demonstrate the initial concept. Student will create an electronic workflow that will cover all tasks right from conception of design, to prototyping to testing for the manufacturability of their design. Student will keep all their design data and design intellectual property in multiple file formats and manage them in a safe, centralized place. They can let their team collaborate with them at any stage of product development. Student will become a productive, innovative, and communicative designer/engineer, with an ability to work with people spanning different disciplines.